"Smash" And with that the Hulk smiles and jumps onto the building. The three of us turn back around and face a mob of Chitauri. Nat jumps under the bridge and comes around behind them so that Steve and I could get a better shot. And then we attack. Steve goes to my left and I lose sight of him. No matter, I&apos;ll just take these out on my own. I start to take the first one down. They are not very good at combat I think to myself, they are just hard to kill. When I take the first one down, I grad his energy riffle thingy and fire at the others. I am on a roll shooting the Chitauri, taking out everyone else&apos;s. I take the other ones in front of me out. When I finish I quickly turn around to the Chitauri that was sneaking up behind me. I turn to fire, but I see red, white, and blue. I stand up straighter, then slump down in fatigue. Then I feel pain. I feel it in my left leg, on the back of my thigh. 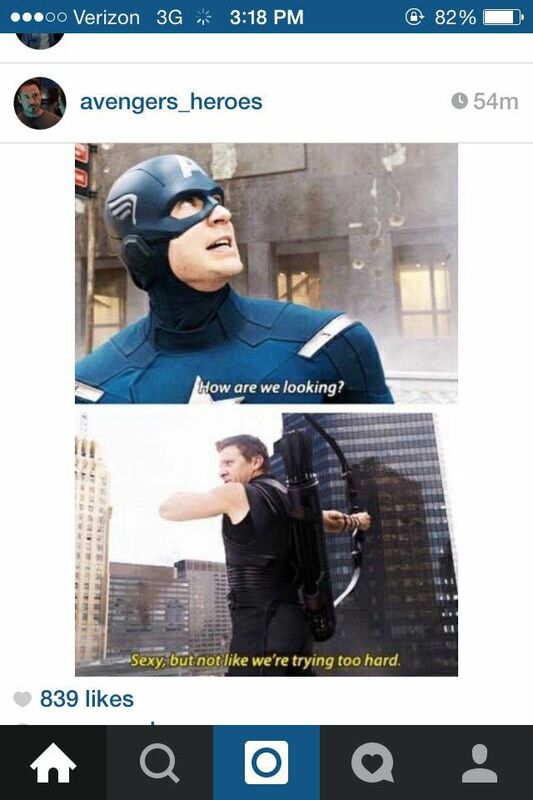 "Steve, I need some help here." I say in a strained voice. "What is it?" he asks, worried by my tone. "I am shot." And with that, he runs to my side and sits me down. Out of the corner of my eye, I see Nat walk over. "Ugh I hate their stupid guns. Rach why are you sitting.... O my god you were shot." She comes around to examine my thigh. "Well there&apos;s nothing we can do. It is one of those shots that fry up all of the nerve endings. You&apos;re not going to bleed out, but it is going to hurt." Steve says, worried almost, but trying to hide it. "Alright. I will try not to overwork." I say. 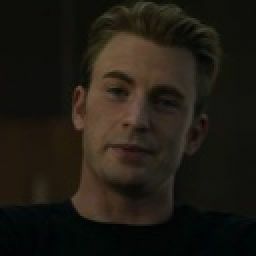 "Cap," Nat starts, "none of this is gonna mean a damn thing if we don&apos;t close that portal." "Our biggest guns couldn&apos;t touch it." I say. "Well maybe it&apos;s not about guns." She says, pointing to the flying Chitauri. "You wanna get up there, you&apos;re gonna need a ride." Steve says. "I got a ride. I could use a lift though." She says with a slight smirk. "You sure about this?" Steve asks Nat. "Yeah, it&apos;s gonna be fun." She says. "Go get &apos;em Nat!" I say from behind Steve. She gives me a worried smile, then she gets a running start, jumping off a car onto Steve&apos;s shield. Just as she jumps off, a wave of Chitauri come from both sides. 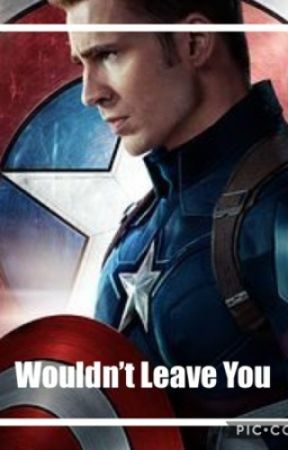 "Steve, you got left, okay?" When we finish taking out the Chitauri, we take a mini break. We can&apos;t stay on our feet all day, especially with these things flying around. "Captain, Stark number two, the bank on 42nd past Madison, they caught a lot of citizens in there." I look over to Steve. He gives a slight shrug. "We&apos;re on it. And really? Stark number two?" I say rolling my eyes and starting to run/gallop with my injured thigh. When Steve and I get to the bank, I go through the front doors and he went through the window on the second floor. As I get ready to walk in, I start to think about Steve. Should I tell him that I have feelings for him? I hate keeping stuff from him and it is getting really hard to hide. "Everyone, clear out!" And that&apos;s my que. "Everyone, please direct your attention this way. You are going to be alright. There are police and firemen outside to take you to safety...." I look up then and see Steve get thrown out of the window. "Captain!" I scream, running after him. I find him on top of a broken car. "Hey.... Hey, it&apos;s me. Are you alright?" "Hey, Rach." He says in a strained voice. "I&apos;m alright, just help me down please." He says. Once he is off the car, the civilians start to pile out and Steve has to hide his face. His mask was thrown off while he was trying to take down the Chitauri in the building. "Stark! You hearing me? We have a missile heading straight for the city!" Fury says over the coms. O my god. We had all gathered up again (all meaning Steve, myself, and Nat). We look at each other and stop fighting. "Three minutes, tops." We all look at each other, knowing this is it. "Captain, I need your help just a little up the road from where you are now." Thor says in our ears. "Copy. I am on my way." Steve says then turns to me. "Are you going to be alright?" I nod. "Okay, you and Nat go guard some civilians. I will call you if it is too much. You need to rest your leg, alright?" he says, in a gentle yet commanding tone that only he can pull off. "I&apos;ll be fine. I can take care of myself, besides, Nat&apos;s here too." I say. He still stays. "Go. I&apos;ll live." I say. He looks like he is having some sort of conflict in his mind. But finally he leaves, and Nat and I start to run. "I gotta get up there again." Nat says. "Run into Stark Towers, it is literally around the corner." I say with a small smile. She gives me a slight nod. She turns to run, but holds back. She turns back towards me and gives me a hug. I am stunned but then hug back. "These could be our last minutes. I just want to tell you that you are like a sister to me. And if I die, tell Clint that I love him, please?" She says, almost embarrassed. "Of course. I love you too Nat. Now, go close that portal." I say, releasing her from our hug. She smiles then takes off. I take off to go help Steve. I don&apos;t care that he didn&apos;t call me. I&apos;m going. When I finally find him, I see Thor helping him up. "Steve!" I scream. He turns around and sees me, giving me a pained smile. "O my god, you were shot." I say, in shock. I throw my arms around his neck, catching him off guard. He eventually hugs back. "Uh, Rach, my, ugh, stomach." He says, clearly hurting. "O my god. Okay, sorry." I say, flustered by my outburst of emotion. "I can close it!" Nat screams through the com. "Can anybody hear me? I can shut the portal down!" "Stark, these things are still coming!" Steve says. "I got a nuke coming in, it&apos;s gonna blow in less than a minute. And I know just where to put it." "Tony, you know that&apos;s a one way trip?" "Yeah, I do. I just wanna say that I love you Rach. Good luck with your life. I hope that you find someone to make you happy. I love you little sis, but I gotta go now." And it is with those words, that I break into pieces. "Tony, no please. Just *hiccup* stay please." I sob into the coms only to get no reply. Even though he was barely ever there for me, he was still family. I&apos;m the only Stark left. I fall into Steve who takes me into an embrace. I cry into his shoulder. We wait for a while and all of a sudden the Chitauri fall. I stop crying and break the embrace. Holding in all of my emotions will come back to bite me later. "Close it." I say darkly. Steve and Thor look at me in shock. I just stare at the ground and try to keep myself from falling apart. "He&apos;s not coming back." I say. I look over at Steve who is looking up at the sky. A/N: Hey readers! So excited that summer is here. Decided to do two updates in one week because I probably won&apos;t be able to update next Sunday. I am on summer vacation so I will try to update soon! Thanks for all of the support, keep on reading!